Fishing has been part of life in Scotland since pre-history and although Scotland has just under 8.6% of the UK population it lands over 60% of the total UK catch of fish. The earliest settlers relied on fish and as far back as medieval times, salmon and herring were exported to continental Europe. As a result a lot of Scots are expert fishermen. Whichever river in Scotland you go to, you can see river fishermen in their high waders, waist deep in those picturesque rivers and streams : peacefully absorbed and removed from the world... whatever they have discovered, they certainly look content! 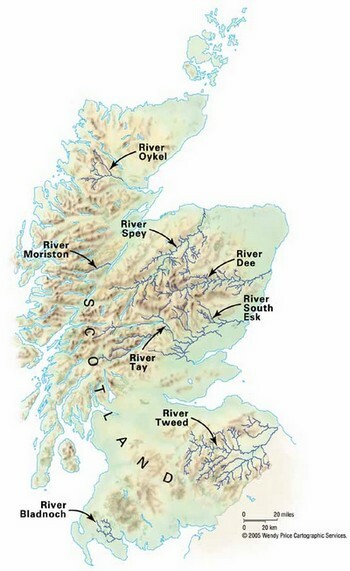 Here is the "Top Ten" of the rivers in Scotland, the longest first.. If you would like to fish for salmon or trout, you have so much choice in Scotland as there are at least 75 salmon fishing rivers from the borders to the Highlands. If you haven't got an established a fishing spot, or are unfamiliar with the countryside, this website give you the help you need to find the right ones: www.trout-salmon-fishing.com provides detailed maps plus a great deal of other information for fishermen(and women!). Also many private organisations are out there to help you find places to fish, and also offer Guided Salmon and Trout Fly Fishing Holidays complete with accommodation, picnic lunches, all the rods and equipment you need - the works. 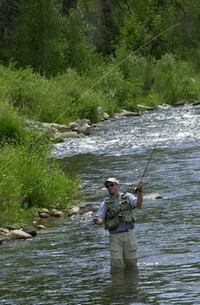 Check out www.fishing-uk-scotland.com. 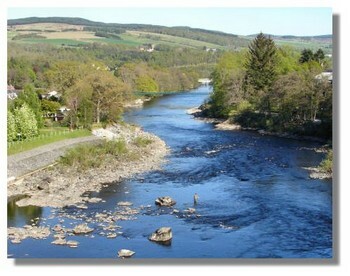 If flyfishing is your speciality, or you would like it to be, www.flyfish-scotland.com covers the Rivers Tay, Spey, South Esk, North Esk, Ericht, Tummel, Lyon, Tilt, and Lochs like Rannoch, Leven, Ness, Tay, and many others in Angus, Perthshire and throughout Scotland. This website also gives you demonstrations of how to hold your rod, how to cast, which rods to use and best of all, the delicate art of fly-tying and how to unhook your fish and let the fellow go.. The Annandale and Borders Fly Fishing School based in Dumfries gives you the opportunity to take lessons from one hour to a full blown three day course to fly cast in the rivers of South West Scotland the border country. Their web address is www.annanflyfishing.co.uk. Here is a map to help you locate some of the main fishing rivers.. Check out these two websites : www.fishingnet.com which covers fishing in Perthshire and www.fishscotland.co.uk which covers salmon,trout and coarse fishing and well as sea fishing with all the how-to's and where's. Enough information there to keep a fisherman absorbed for quite a while! For more about course fishing, which is increasingly popular go to www.coursefishing.org and www.fishing4fun.co.uk who will give you plenty of information and facts about techniques and locations all over the United Kingdom. If you are excited by the idea of a sea-fishing trip off the coast, the "Heather Isle" operates from from Arbroath (famous for its "smokies") which is only a short drive north from Scotland's fourth largest city, Dundee. Marine Charter Sailing Adventure at www.arbroathangling.co.uk offers everything from all day deep water fishing to two hour fun fishing trips. You can also take trips where you can try your luck at landing crab and lobster. 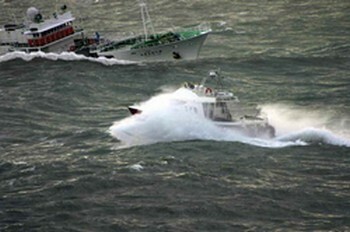 The "Heather Isle" is a 30 foot vessel and can carry 12 passengers plus crew. The crew are all experienced boat people, and in fact most of the crew are also employed by the RNLI (Royal National Lifeboat Insitute) so you'll be well looked after! They also supply rods, bait and reels. Deep sea fishing off the coast for cod, saithe, sea trout, whiting, haddock, wrasse, founders, eels and even shark is a truly exciting prospect and there are plenty of charter boat companies to choose from to take you from either Scotland's east or west coasts. 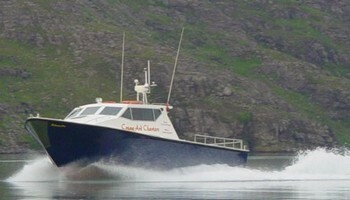 www.creagardcharters.co.uk offers a fast 38-foot boat (which cruises at 12knots) and can take 12 people for diving fishing or cruising. This site also details holiday cottages for rent..and www.thefishingden.co.uk will give you details of the fish species you can catch out there..from bass to tope (a kind of shark)to a multitude of other fish..
From Wick Harbour in Caithness for diving or fishing or just a day around the coast contact www.freedomcharters.co.uk or Puffin Cruises at www.puffincruises.com who offer three to five hour Sea Angling and Mackerel fishing trips. The Scottish Anglers National Association at www.sana.org is a good source of information about where to fish, what to catch etc. The Scottish Federation of Sea Anglers at Caledonia House, South Gyle, Edinburgh EH 12 9DG has information about sea fishing. A lot of the rights to fish in the rivers and lochs are privately owned and you need a permit, which you can usually find at your nearest fishing tackle shop or even the hotel you're staying in. 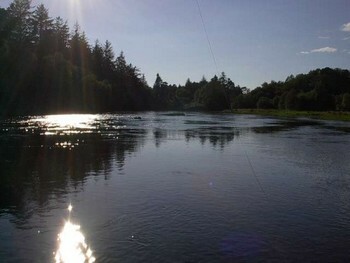 Generally permits are around £15 per day, but the Tweed, Tay, (the larger rivers) and Spey can cost you a little more. Wherever you fish in Scotland, it will be an unforgettable experience, and I hope to see you in the river or on the open sea soon..Happy Fishing!